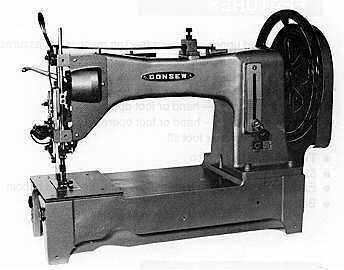 The Consew 733 and all subclasses (733, 733R, 733R-1, 733R-2, 733R-3, and 733R-4) are "class 7" machines. The Consew 733 and all subclasses are modern versions of the Singer 7-33. For stitching extra heavy-weight materials. construction barriers, parachutes, balloons, industrial bags, boot stitching, book binding.